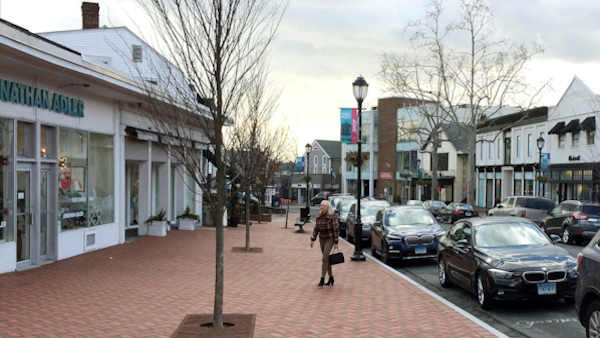 WESTPORT, CT -- When the town sponsored a student essay contest on the topic of white privilege, it was intended to provoke discussion in this wealthy, overwhelmingly white community on Connecticut's Gold Coast. It did, along with no small amount of outrage. Contest organizers have been surprised by the reaction from some who say the question wrongly suggests race plays into the good life enjoyed in Westport. 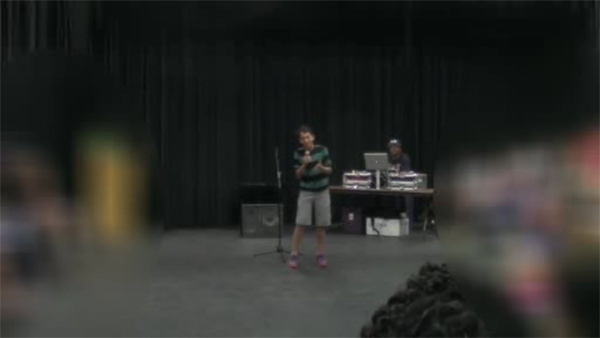 A teen's poetry slam performance is exploding on social media because of its profound outlook on the teen's place in society as a young, white male. Residents like Bari Reiner, 72, say the question is offensive because the town welcomes anybody who can afford to live here. "It's an open town," Reiner said. "There are no barricades here. Nobody says if you're black or whatever, you can't move here." The contest , put on by the town's diversity council, asks students to describe the impact white privilege has had on their lives, using a term that refers generally to advantages conferred automatically to whites, and not to minorities. The concept has moved into the mainstream as the nation has discussed race more openly. The chairman of the diversity council, Harold Bailey Jr., said that in addition to the chatter in town, people as far away as Singapore have weighed in online. "There's a lot more controversy around it than many of us expected," said Bailey, a retired IBM vice president who is black. "Just the fact it says 'white' and 'privilege,' for some people that's all they need to see, and all of a sudden we're race-baiting or trying to get people to feel guilty. That's not at all what it's about." Like other New York City suburbs on the Connecticut shoreline, Westport ranks among the country's wealthiest places. Its median family income tops $150,000, and it is home to the world's largest hedge fund, Bridgewater Associates. As of the 2010 census, its 26,000 residents were also 93 percent white. The town has a liberal streak that some attribute to its vibrant arts community, and it voted by more than 2 to 1 for Democrat Hillary Clinton over Republican Donald Trump. It also has not been immune to episodes of racism. Dozens of students at the public Staples High School were disciplined for circulating racially offensive memes in a private Facebook group uncovered in November. The diversity council, TEAM Westport, was created more than a decade ago to increase diversity and make the town more welcoming. The winner of the annual contest's $1,000 top prize will be announced April 3. The essay questions are developed by a committee and approved by Staples faculty members. Some parents welcomed the discussion stirred by this year's question as a reminder for local teens that not all places are as affluent and homogeneous as Westport. "I like the idea to get it out there so kids can talk about it and embrace it," said Bert Dovo, a white father of two who are now in college. Janet Samuels, 60, said that her children are now grown but that she believes it is the role of parents to teach what privilege is. "That would upset me very much," Samuels, who is also white, said of the essay question. "I wouldn't go there."